Hypothyroidism is a condition in which your body lacks sufficient thyroid hormone. The thyroid gland is a small but important butterfly shaped gland at the base of the neck making hormones for use in growth and metabolism in the body. The thyroid produces two main hormones, T4 and T3 which are made of iodine and the amino acid tyrosine. Thyroid disease is extremely common and often due to an autoimmune condition called Hashimoto’s thyroiditis. Women are more frequently affected than men. The main symptoms of an underactive thyroid, or hypothyroidism are associated with a slowed metabolism.One of the main symptoms of hypothyroidism is fatigue. Others include difficulty losing weight despite diet and exercise, depression or low mood, cold hands and feet and “brain fog” or not thinking as clearly as you used to. It is estimated that people with a thyroid condition are often undiagnosed. The traditional blood test used is thyroid stimulating hormone (TSH) which is elevated in hypothyroidism. 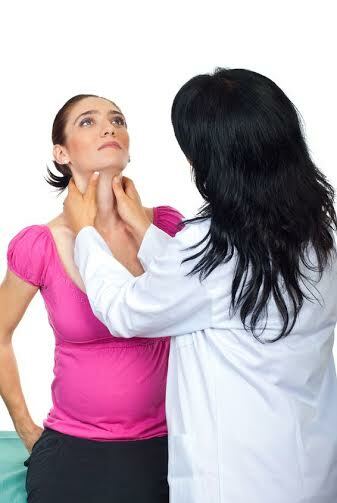 There is a difference in diagnostic testing between conventional medical and naturopathic physicians.Naturopathic physicians will routinely order a thyroid panel that measures four markers of thyroid health: TSH, free T4, free T3 and thyroid antibodies called anti-TPO which helps to investigate for an autoimmune cause. 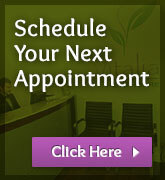 The thyroid panel is a simple blood test and your results are available within a week. Naturopathic doctors are leaders in the field of complementary medicine. We focus on the underlying root cause of hypothyroidism. For example, if it’s autoimmune in origin, doctors will address this aspect by focusing on decreasing inflammation from all sources in the body. Diet including food sensitivities, stress, overgrowth of bacterial or yeast in the body and even viruses specifically Epstein-Barr virus which causes mononucleosis are just a few examples of potential sources of inflammation that can contribute to an underactive thyroid. We will even look at supporting your adrenal glands as stress can suppress the conversion from inactive to activated thyroid hormone thereby contributing to a slower metabolism in those with hypothyroidism. Treatment goals include looking at these underlying factors and addressing them whether they are digestive disturbances, stress or bacterial/yeast overgrowth in the body. Conventional medical treatment for hypothyroidism most commonly involves prescribing Synthroid, which is a synthetic T4 hormone. Naturopathic doctors will use both prescription and herbal treatments, the most commonly prescribed treatment being desiccated thyroid that includes both T4 and T3. There are dietary recommendations that can be made too but each treatment is tailored to the patient’s particular case and takes into account symptoms, treatment goals as well as patient preference. If you or a friend or family member has been diagnosed with hypothyroidism or you have symptoms that reflect a slowed metabolism that you think might be caused by an underactive thyroid, schedule an appointment today with one of our highly trained naturopathic doctors.